I’ve always loved reading stories which feature a feisty heroine, a gorgeous hero and a great happy-ever-after ending. Jilly Cooper’s fabulous short romances – Bella, Harriet, Imogen and so on – first came out when I was in my twenties and I loved them. I love them still. They haven’t dated at all. As one reviewer on Amazon asked recently: I wonder what Bella and company are doing now? I’d love to know. Strangely enough, The Wedding Diary is my first chick lit novel. I don’t quite know why it took me so long to get round to writing a light-hearted contemporary romance, but I do know that I also love writing long, involved historical romantic dramas like the Charton Minster trilogy. I’m fascinated by all the different ways in which people fall in love. Over the past twenty or more years I’ve had great fun writing many kinds of novels, historical and contemporary and even time slip, always with a love story at the heart. I love reading stories which restore my faith in human nature, encourage me to believe that most people can behave well, that we can all aspire to love and to be loved, and that whatever your situation in life, you can find a silver lining on almost any cloud. Reading chick lit does this for me – it makes me feel happy, positive and optimistic. But I’m a very greedy reader and actually I will read anything which has a story in it. I love historical sagas, family dramas and novels which have unusual settings that take me to places I’ve never seen and am unlikely to visit. The recent Sunlounger summer anthology, to which I was a contributor, took me all over the world. Just one? There are so many to love! I adore Sophie Kinsella’s Shopaholic series starring the kind, generous, warm-hearted, everlastingly accident-prone Becky and her husband, the gorgeous Luke. Please can I take them all to my desert island? It’s called The Wedding Diary and it’s all about what happens when my heroine Cat Aston wins a dream wedding in a country house hotel. There are a few problems, including the fact that Cat’s fiancé has gone missing and isn’t likely to return any time soon. The competition organiser, fearsome PR supremo Fanny Gregory, makes Cruella De Vil look like sweet old lady. So when Cat meets Fanny at the wedding venue and finds she has to fib and bluster her way through making the arrangements for a wedding which probably isn’t going to take place, Cat knows that unless she can produce a fiancé pretty damn quickly she’s in very big trouble. This is where the hero, gorgeous but broken-hearted builder Adam Lawley, comes into the story. Adam has had his fingers and other parts of him badly burned by Cupid and he has sworn off ever falling in love again. But Cat is very attractive, so will he fall for Cat and save her from a fate worse than death at the hands of Fanny Gregory? 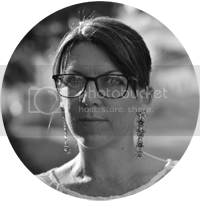 I belong to a local writing group, Exeter Writers, and we often have brainstorming sessions and workshops. The story was born when we were talking about how difficult it is for lovely women to find good men to marry. The Wedding Diary is partly set in Dorset, a setting I’ve used for my fiction before, and some of the characters are mentioned in my Charton Minster trilogy. 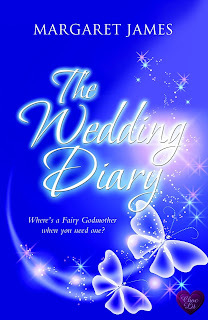 At the moment, I’m writing another contemporary romance about a minor character in The Wedding Diary, Rosie Denham. Rosie insisted I should tell her story, and she has Dorset connections, too. The cover for The Wedding Diary was done by the wonderful Berni Stevens who designs all the covers for my publisher, Choc Lit. Jennifer Aniston as Cat, Gerard Butler as Adam and Ruby Wax as Fanny, a fairy godmother who is absolutely terrifying but who secretly has a heart of gold. Bride and Prejudice, a Bollywood updating of Pride and Prejudice, my favourite romantic novel and the inspiration for all chick lit. Becky Bloomwood in the Shopaholic series. It’s impossible to single out just one author, but I’m hoping Talli Roland will hit the really big time one day. Talli is already very successful and I think she will become even more successful as time goes on. I have a chaotic space in my spare bedroom. I mean to turn it into a proper office one day. But I’m slightly afraid to do that. If I throw out all the junk, what if the Muse moves out, too? OMG, someone who could make me seem fascinating, intellectual and glamorous, like Meryl Streep. Top drink to make you tipsy? A good Prosecco. Shopaholic or shopadon't? Mostly shopadon’t but sometimes I go a bit mad! Sky high heels or closer to the ground? Flats –I can’t walk in heels but I do wear them occasionally when it’s a car to bar situation. E.L. James or Jilly Cooper? Always Jilly Cooper. Cry baby or tough cookie? Cry baby – I cry when I’m happy and I cry when I’m sad! 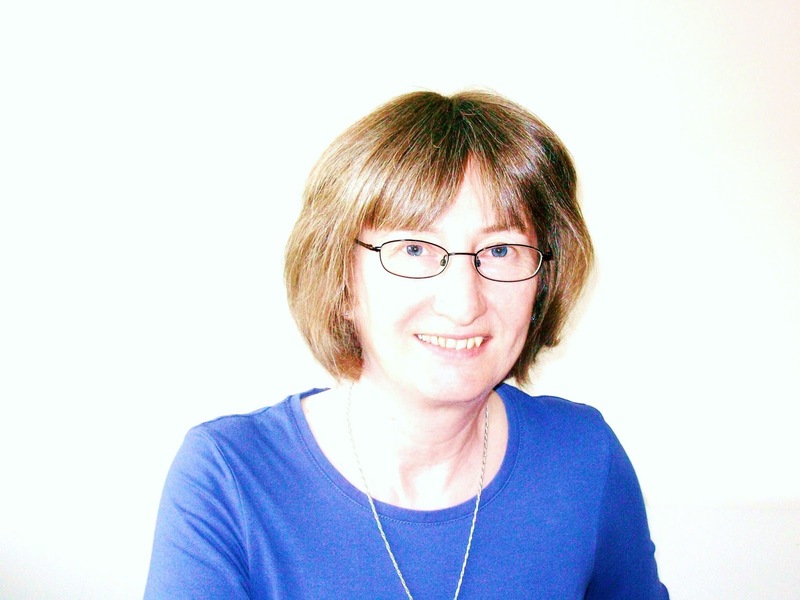 I’m a British writer of historical and contemporary fiction. I have written sixteen commercially published novels and many short stories and articles on the art of writing. I’m also a journalist working for the UK’s Writing Magazine. I teach creative writing for the London School of Journalism. I was born in Hereford and now live in Devon. Ooh, Gerard Butler as Adam - I was already sold on the Wedding Diary but now it's gone to the top of my reading pile! Lovely interview Margaret - and it made me smile when you spoke of the Jilly Copper series, because that's what had me hooked on the genre too! Thank you so much for your kind wishes, Margaret! Lovely interview. 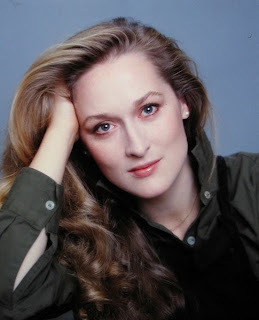 Thank you, Guernsey Girl - and yes, I wouldn't mind looking like Meryl!